Les Fruits de Mer is excited to have Binkie van Es on board for the 2018 Endemic Animal Festival. Binkie is a certified BirdSleuth trainer and he will be leading this fun program at the event. BirdSleuth Caribbean is a fun set of educational activities that use birds to teach science and other skills. It is the only program of its kind that was developed specifically for the Caribbean. Kids and adults are welcome to join in the activities, and teachers are invited to learn the program for use in their own classrooms. 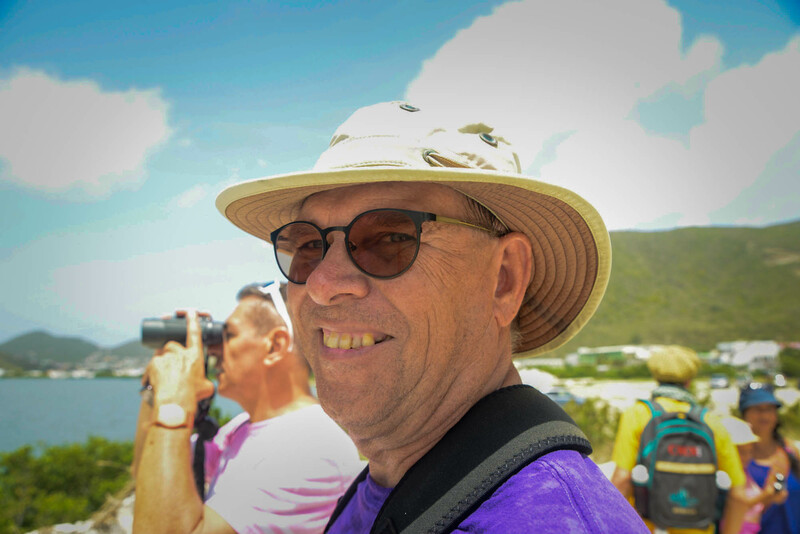 Binkie is an expert birder and birding guide, with the highest level of certification with the Caribbean Birding Trail Guide program. He is a board member of the St. Maarten Nature Foundation and a committee member of the Dutch Caribbean Nature Alliance. He is also a BirdsCaribbean member and EPIC volunteer. He also does bird monitoring on for Vogelbescherming Nederland.